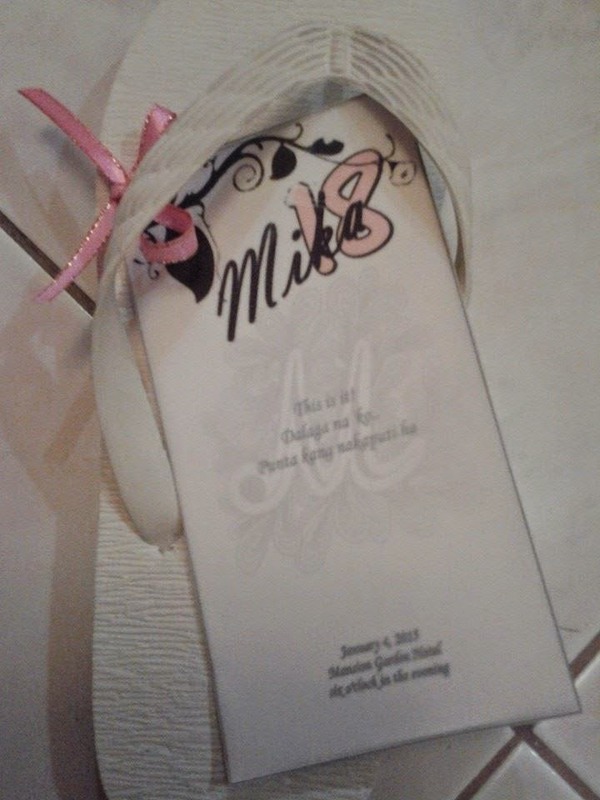 My daughter Mika celebrated her 18th birthday last January 4 which is nearly two weeks before the papal visit, which I think is a sign of good luck for her. Actually, we are having second thoughts on whether we are going to throw a big party for her due to a number of unforeseen events which took place last year. Mika herself is half hearted about her party but finally all of us in the family, (her dad and kuya included) decided that our princess deserved to have one. We came up with this decision for a number of reasons. One, she is our one and only daughter, second, she proved to be a nice and disciplined girl, not giving us any head aches (winks) and lastly, she constantly get good grades in school. So, we just thought that giving her a nice and decent party wouldn't be a bad idea after all. We spent nearly two months choosing the venue and conceptualizing the whole thing. We are a family who loves designing, crafting and everything that's nice and pretty, and to top it all, we wanted to come up with unique ideas for her party. You know, something that we haven't seen in other debut parties yet. In short, we really wanted to make this event a very special one for her. 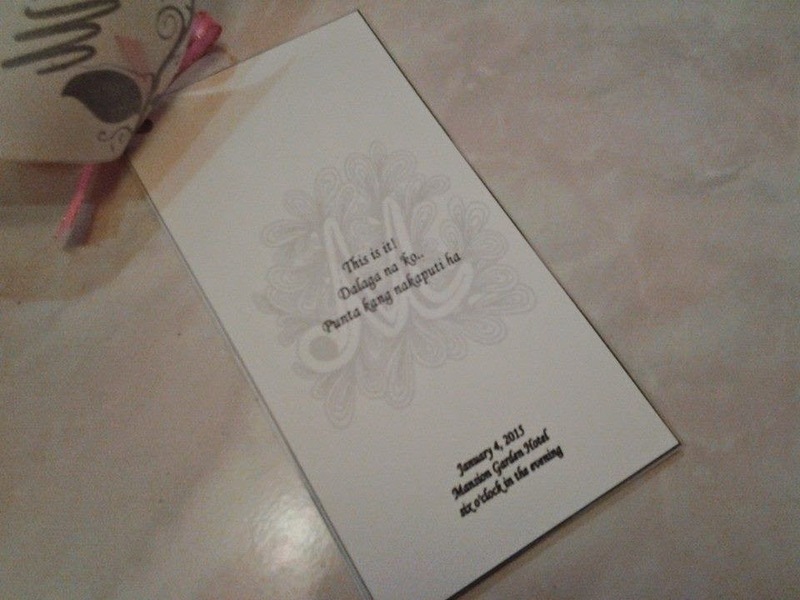 First, we came up with a unique concept on her invitations. We thought of having some print outs together with a flip flop. 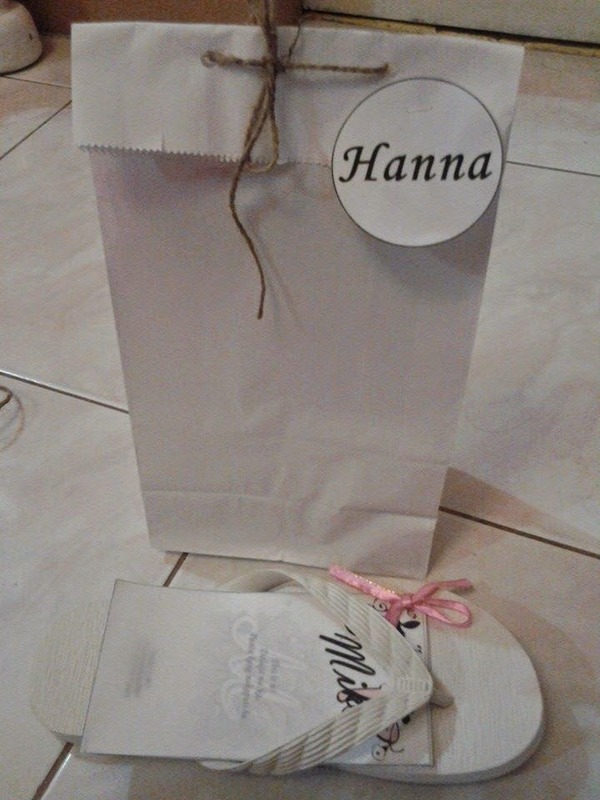 By the way, we have chosen her motif to be white and pink and so, we bought white flip flops for all the guests. 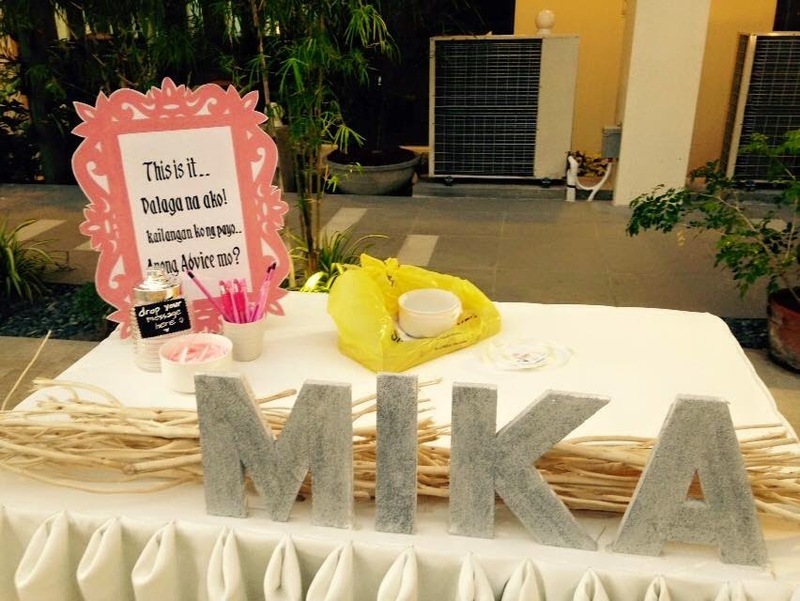 We have chosen a pool side venue, so her kuya thought that this idea would be a perfect fit. So there we go, we had the details about the party printed out and enclosed a piece of flip flop with the intention that the other half would be claimed by the guest right on the day of the party. After we have chosen a unique invitation for her, our next step was to plan for her photo and video shoot. My son and the debutant herself are fond of making videos and they even joined school competitions on video making. My daughter, with her group actually won first prize for this on a national competition and so, it is just expected that we will be coming up with a lot of video presentations all throughout the party and so we did. We didn't hire a designer to decorate the venue, we did it ourselves. The hotel just took charge of the basic set up of the venue and the foods, the rest is up to us. We've chosen a simple but elegant design for the stage. 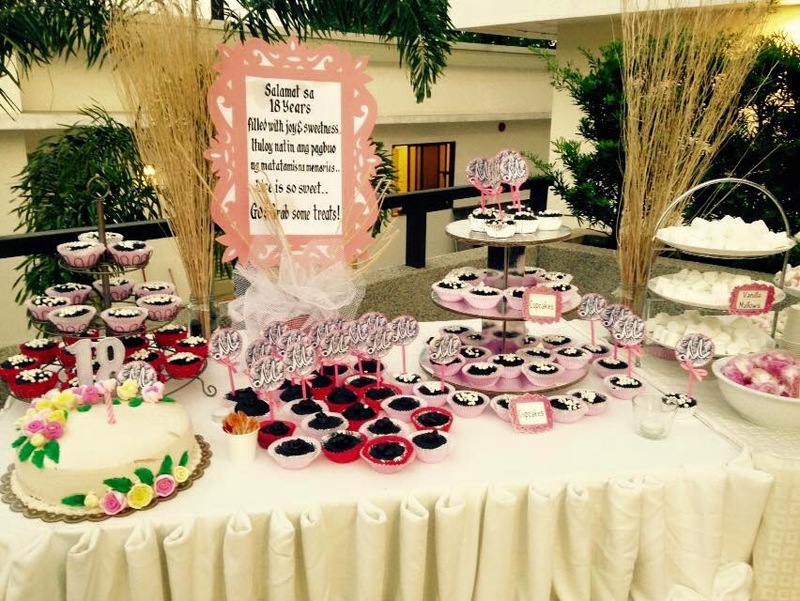 We also design her dessert table according to the color motif. The table set up is plain and simple and was just adorned with twigs, fresh flowers and tea light candles. 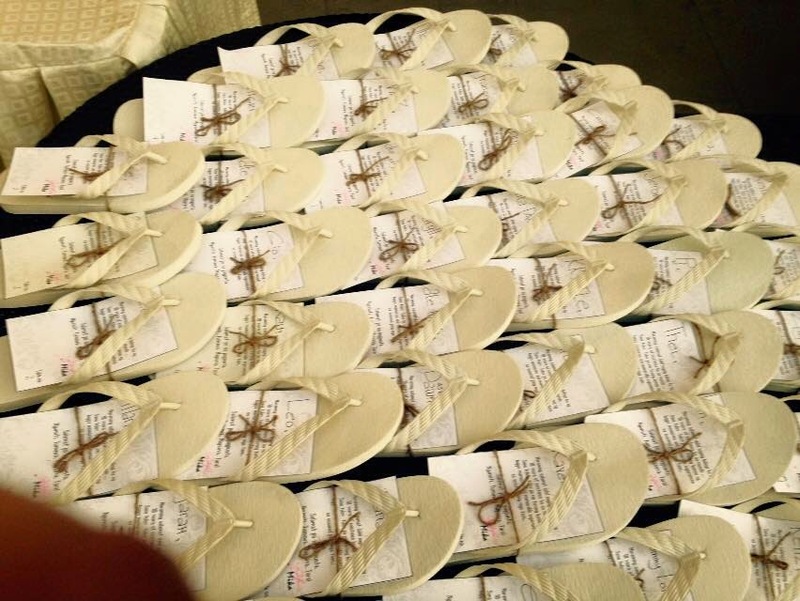 The other half of the pair of slippers were distributed to the guests at the venue entrance. 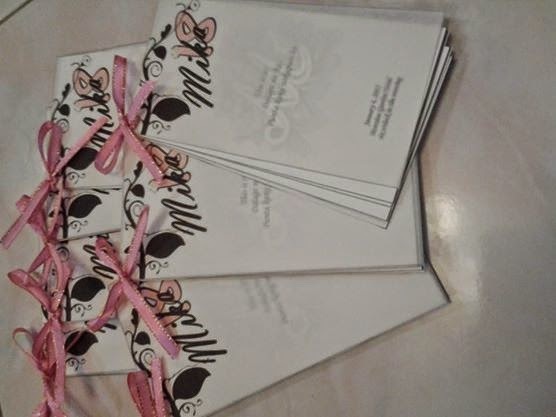 We've inserted a thank you note which was personally signed by the debutant. 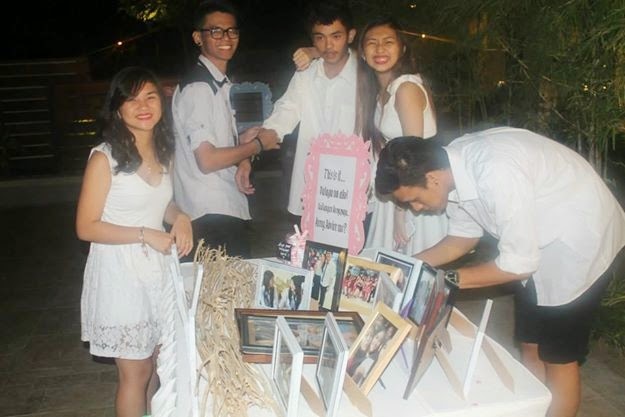 We also had a dedication table where guests could write down their birthday wishes and advises to the debutant and these written messages were all dropped inside a glass jar. Instead of renting a photo booth, we made our own where guests could take photos of themselves. 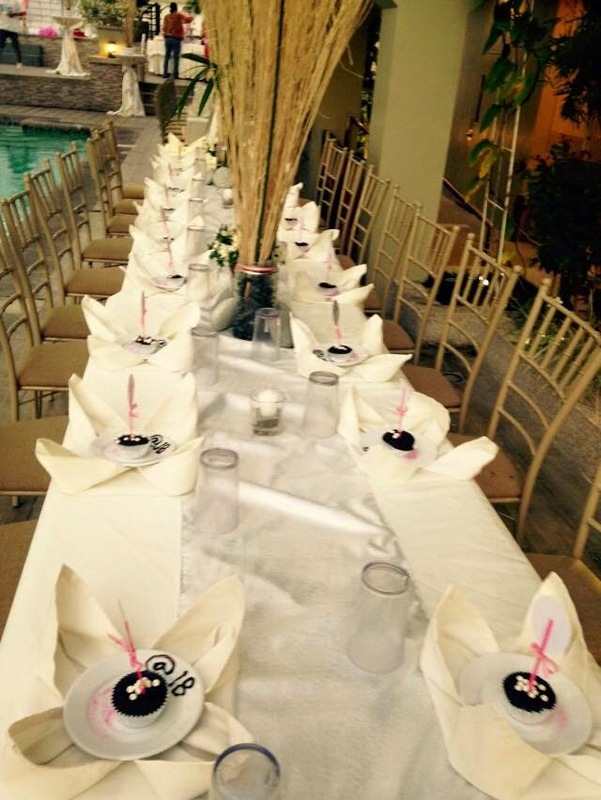 We added simple decors all over the venue and the pool was just adorned with pink and white balloons. We like it to be that simple. Her brother and cousins all dressed in white, all wearing their white slippers. I considered my daughter's 18th birthday celebration to be a successful one based on the feedback we've received from our guests and relatives. They were all pleased with the foods served on the buffet table and they all complimented the unique set up and concept of the party as well as the program. I'm so happy and grateful that I was able to deliver a pleasant celebration for my one and only daughter. She was so happy with the outcome of her party and can't thank us enough. Her Dad was equally happy knowing that everything turned out well even in his absence. Ahhh ... another manifestation of a mother's love! My sister had debut party but I chose not to have party because it is not my thing. :) I like the slippers idea. Happy belated birthday to your girl. She looks stunning and that's a really cool party that you did for her. This looks fun and it's even awesome that you took care of practically every detail of the celebration. I didn't have a debut party because I told my mom I didn't want to. Didn't want the expenses and the stress. She was sadder than me hahahaha but she made sure to throw me a party when I turned 20. She's really pretty. Dalaga na nga. Happy birthday to her! Your daughter must be very happy to have this grand party. Nice and unique ideas you got for the party. I'm sure the guests are having a great time at the party. Love the slippers idea. I'm sure she was so proud of what you did to make her night very special. 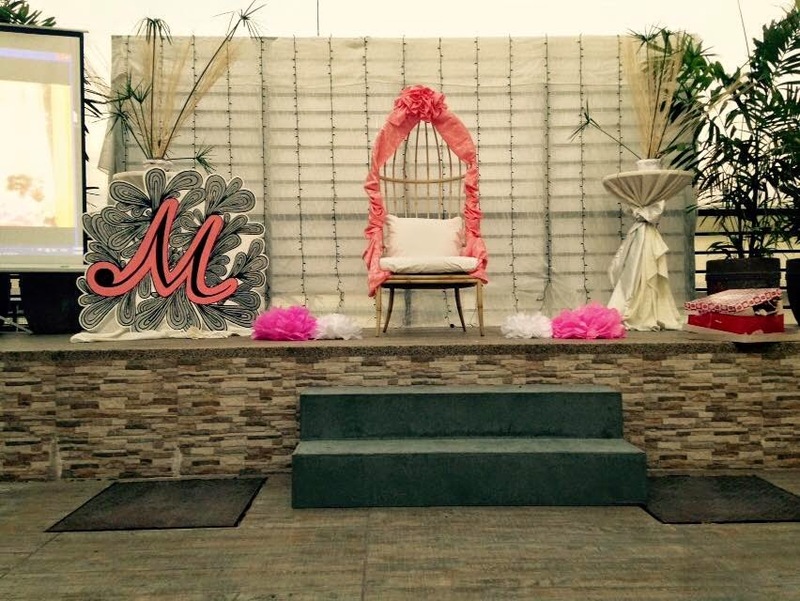 I love her motif and all the DIY stuff you did for her debut. You look like her sister. Mika is so pretty. Belated happy birthday to her. The party is so festive. I love venue, the dessert table and the giveaways. I think its so cool when everyone is having fun at the party and wearing white slippers. Great planning and great party! Such milestones must be celebrated. Very nice motif by the way. You're so beautiful on that dress! And cute ng mga giveaway! I'm sure she had a great time! Belated Happy Birthday to Mika! 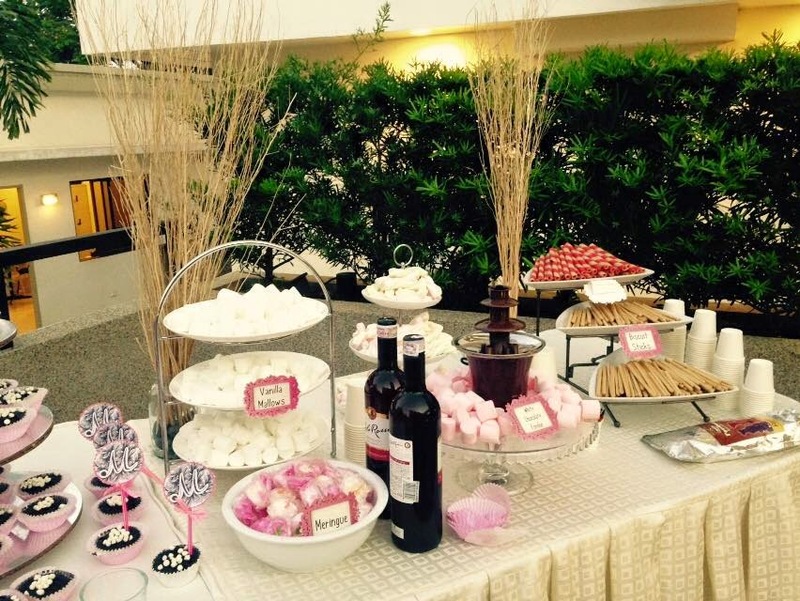 You did a great job in that wonderful party and the guests enjoyed it! You look great in you white maxi dress Mommy! Your daughter is beautiful just like you sis. Belated Happy Birthday to you Mika! Wow, that was a glorious and succesful party indeed! The joy of every parents is to see their children grow into adulthood. Your daughter is now a big girl and a great applaud to you and your hubby for organising such a colourful party for her. she will forever be grateful to you both. I wish her all the very best in life and she will be the best amongst her equals. I love the souvenirs! Kudos fora great job in your daughter's debut.